Follow our media centre for the latest dentistry news and information. Congratulations to Dr Eric Sham, our dental implant dentist! Dr Eric Sham can help you restore your smile with dental implants here at Smile Perfection in Brisbane. To celebrate his latest achievement, we are offering a $4250* dental implant treatment! Book in for a free 30 minute consultation to discuss your needs and suitability. 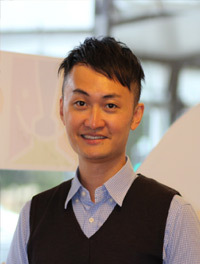 Dr Eric Sham graduated as a dentist from the University of Queensland in 2001 and has since completed a number of accreditation programs in implant dentistry. To demonstrate his dedication as a dentist, this year he has successfully completed a formal 2-year postgraduate program in Implant Dentistry at the University of Melbourne. As a dentist, Dr Sham works diligently to help his patients feel comfortable about their appointments with him. A dental implant is an artificial tooth replacement option. The implant itself is made out of biocompatible titanium that mimics the natural tooth root and bonds to the jawbone. For the dental implant to replace the missing tooth, the replacement root will be placed in the gap first. Once the area has completely healed the crown that will replace the visible part of the tooth will be attached to the dental implant. Can dental implants be used to replace more than one tooth? For some patients, dental implants may be needed for more than one tooth. In these cases rather than using single dental implants to replace each tooth at a time, a bridge or a set of dentures may be attached to one or more dental implants. Please note that if you need this treatment it is not part of our special offer as it requires additional resources. Please book a FREE 30 minute consultation to arrange a treatment plan and cost. Why is replacing missing teeth important? Replacing a tooth with a dental implant is not just about filling the gaps in your smile. Replacing missing teeth promotes a healthy jawbone, stops the gums from receding and helps to hold the place for remaining teeth. When you lose a tooth the teeth on either side can begin to shift in attempt to fill the gap. This can cause a misalignment of your teeth and bite. How much do dental implants cost here in Brisbane? On average, the cost of dental implants ranges from $4500 – $7500 per tooth in Australia. To celebrate Dr Sham’s new achievement in implant dentistry, enjoy a free 30 minute dental implant consultation to determine your unique needs and suitability with Dr Eric Sham here in Brisbane and replace your missing tooth with a dental implant for the price of $4250*. Restore your smile here at Smile Perfection Dental Group in Brisbane with quality dental implants. If you are missing one or more teeth, visit Smile Perfection and find out how we can help to restore balance to your smile. 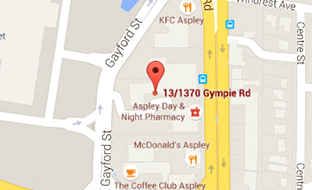 Book a free 30 minute dental implant consultation today at our Brisbane practices in Aspley and Chermside today. *Depending on your individual dental needs you may require a bone graft or additional imaging, these are not included in the initial cost. Please arrange a consultation to determine your overall costs. 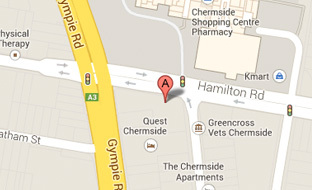 Are you looking for a Brisbane Dentist? At Smile Perfection in Aspley and Chermside we regularly update our media centre to provide you with the latest news and information.